Ambient music can serve different purposes, as we have already found out in many previous blog articles. Working out, treating tinnitus, relaxing, reading, sleep masking – and those are only few possibilities. What makes ambient music as perfect is the fact that there are no distracting lyrics, consisting of calm melodies and a variety of background sounds. One example are fireplace and campfire ambiences. Here are some ideas of what you can do using a fireplace ambient as background music. Youtube, Dailymotion, Vimeo, and Vine, as well as Twitter and Facebook made it incredibly easy for basically everyone to post and share their videos – whether they are six seconds or longer. Adding some alluring background sounds or music makes your video stand out from others. Depending on the mood of your video, fire-based atmospheres can add suspense or a feeling of relaxation to your videos. 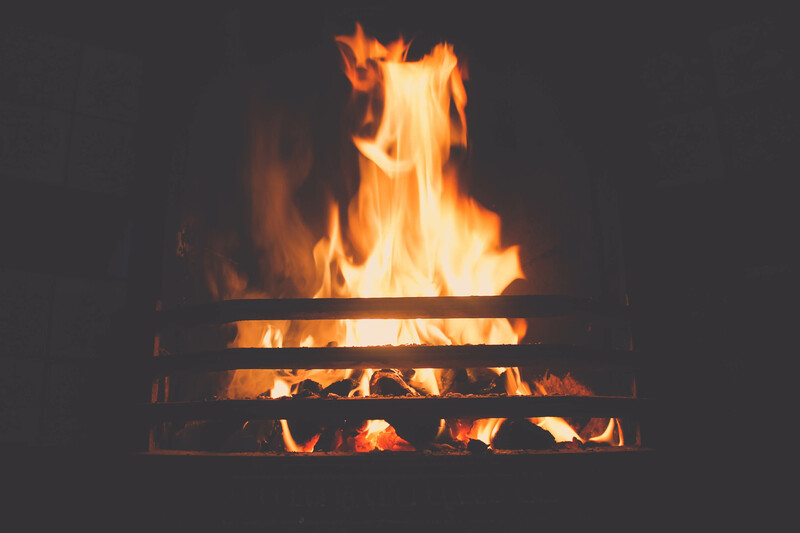 For suspense and a more scary or action-laden effect, roaring fires are the right choice, whereas campfire ambient music adds a more casual and summer-feeling touch to them. A calming fireplace, however, serves the purpose of creating a more calm, solemn, and laid back atmosphere. Which brings us directly to our next topic: relaxation. Sure, a wildfire isn’t the right thing for relaxing, but some soothingly crackling logs in a fireplace can create a calm atmosphere that serves stressed nerves and tense minds. Whether you are reading a good book, slowly dozing off after a hard day of work, or if you simply wanted to let your mind wander, a fireplace ambient fits very well as background music. Especially in summer, parties are often times held outside. But not everyone can light a wonderful and high burning bonfire in their garden. If you have no other choice than to celebrate on your patio without the warm crackling of a fire, you can still push the mood by playing some ambient sounds of bonfires in the night. And what if it rains? Then you can still blast a nice campfire ambience in your living room where it’s dry. Much more fitting for the more dull and dark season of the year are fireplace ambient sounds. Just because you do not own an (open) fireplace means that your winter in-door party has to forego a comfortable and soothing fireplace-induced mood. Some people, however, are lucky enough to have a fireplace in their home. However, due to the risk of fire and different fire regulations of houses and apartments, an electrical fireplace without a real burning fire is a popular alternative. The fake flames and flickering light are a lively imitation of the “real deal”, however, isn’t there something missing? Add some musical support to this electric substitution and make give the unreal fire a more lively touch.